– Half of home fire deaths result from fires reported between 11 p.m. and 7 a.m. when most people are asleep. Only one in five home fires were reported during these hours. – One quarter of home fire deaths were caused by fires that started in the bedroom. Another quarter resulted from fires in the living room, family room or den. – Three out of five home fire deaths happen from fires in homes with no smoke alarms or no working smoke alarms. – Home fires killed an average of eight people every day in 2013. 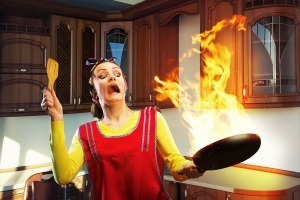 – Cooking equipment is the leading cause of home fire injuries, followed by heating equipment. – Smoking materials are the leading cause of home fire deaths. – Most fatal fires kill only one or two people. In 2013, 12 home fires killed five or more people resulting in a total of 67 deaths. – During 2007-2011, roughly one of every 320 households had a reported home fire per year.